How do I make a donation to an organization's profile? To make a donation from the organization’s main profile page on GiveGab, click the “Donate” button beneath the cover photo and next to the header stats. On the first page of the donation form, you can either choose one of our standard donation amounts or input your own amount. 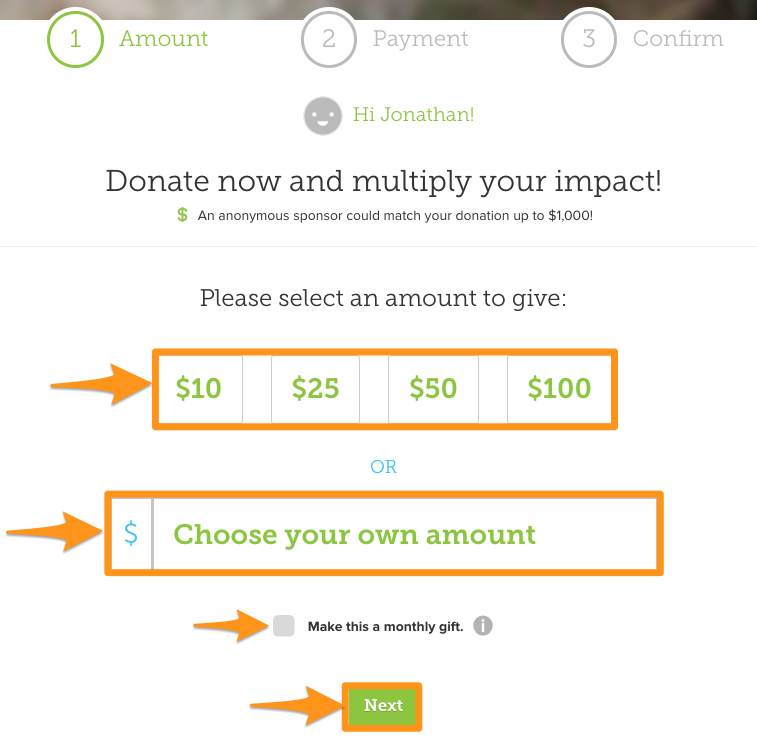 You'll also have the option to make your donations a recurring gift, meaning your donation will be processed at the same time each month for the same amount. Once you've finished filling out that section of the form, click the "Next" button. 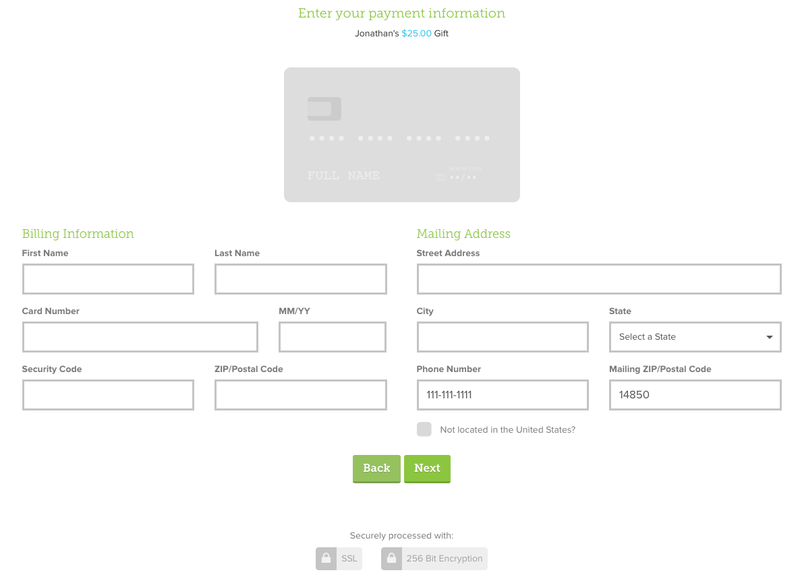 Enter your credit card information, mailing address (if the form asks for it – each organization decides if they collect this information or not), and hit the "Next" button. If you’re signed in to GiveGab, you won’t need to submit your email address. However, if you are not signed in to GiveGab, your email address is required so we can send you a tax-deductible receipt. Additionally, if you're not located in the U.S., just check that box that says "Not located in the U.S.?" and you'll be able to continue the donation process from there. Once you’ve confirmed the amount and chosen the various options, click the “Confirm” button. 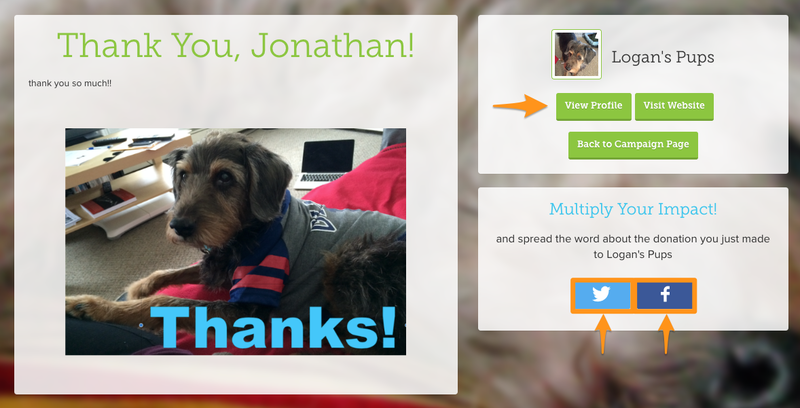 When the donation has been submitted and processed, you’ll be presented with a ‘Thank You’ page. 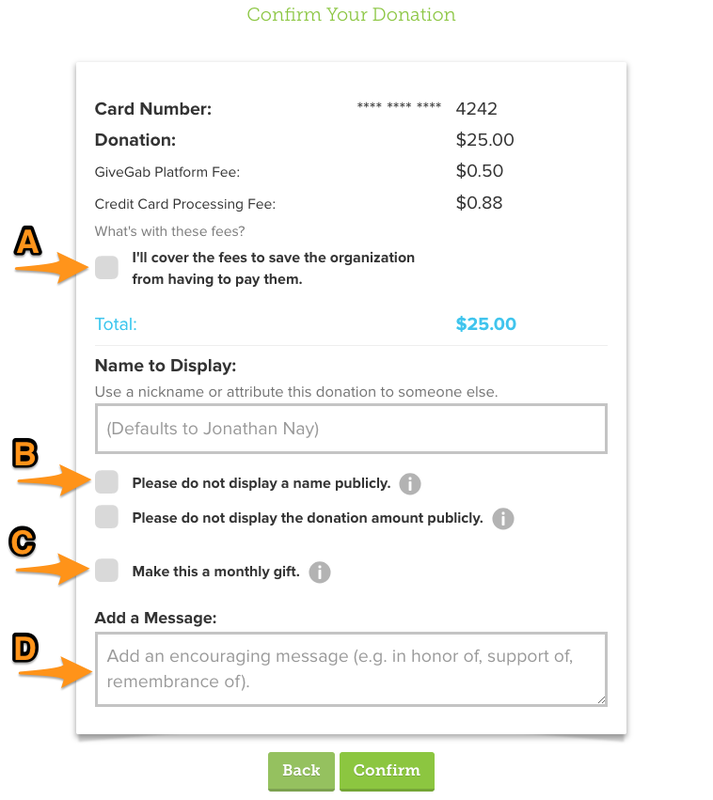 From there, you can go back to the organization's profile or share that you just donated on social media! Immediately following your donation, you’ll receive a confirmation email with an electronic thank you letter and your tax deductible receipt.